There’s nothing like styling your living quarters with a treasure. Designing with modern, elegant home decor is one thing. 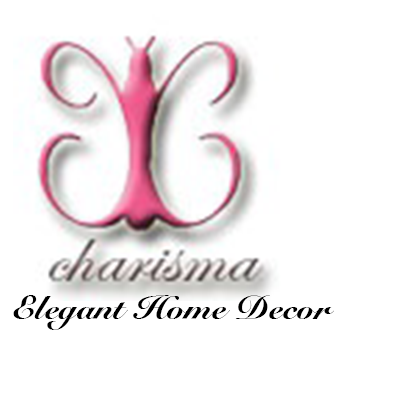 However, decorating your home with a one of kind accent that’s custom and unique is much deeper. It has a bigger meaning. It brings a higher level of comfort and character to your residence. This is what many home owners and decorators desire. This is why decorating with unique treasures and antiques are extremely important. But what if you don’t have access to many antiques? 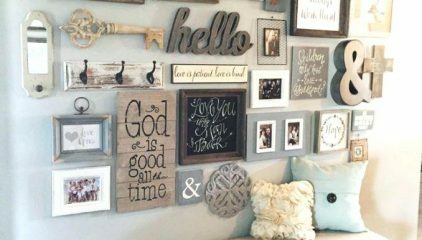 The great thing about diy and shabby chic home decor is the fact that you can create your own treasures. 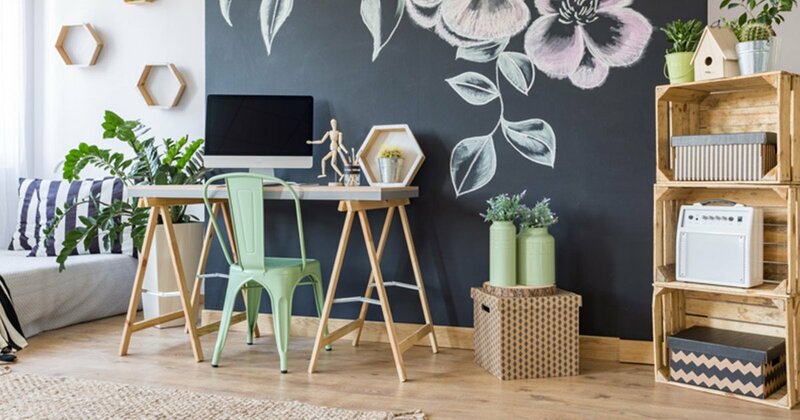 Here are 7 items you can gorgeously transform into antique home decor accents for the Spring. 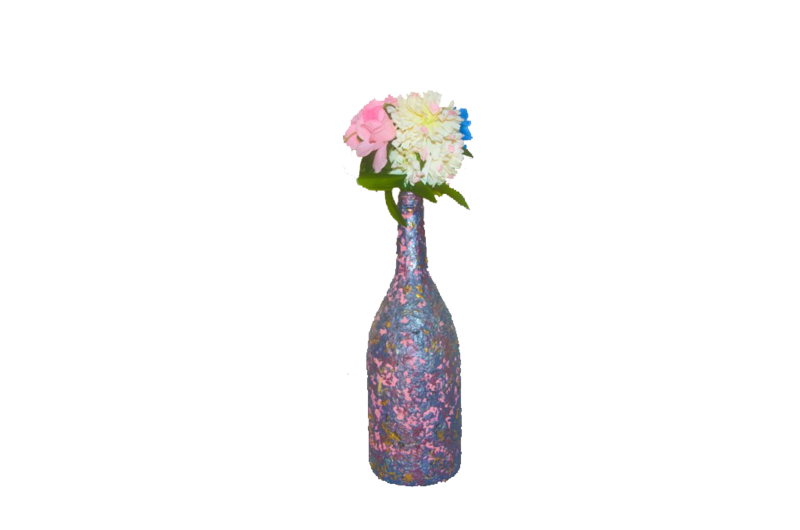 Gorgeous decorative glass vase created with an unique hand painted design, which also gives it a stunning antique home decor look. Decorative glass vases are one of the best accents to transform into an antique home decor item. Vases can be designed into any style, color or trend. This gives them a versatile and endless appeal approach. This makes it easy for decorative vases to be transformed into antique pieces. The best way to create an antique home decor design with decorative vases is by painting them. Hand painted vases instantly creates a vintage yet striking presence. It adds a new layer of life to the vase. It also gives the vase an ancient, classic look. Hand painted vases are the perfect blend of modern design and antique aura. 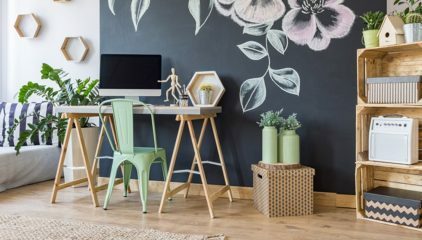 This is why if you’re looking to spruce up your home for the Spring with antique design adding hand painted decorative vases is a great option to go with. 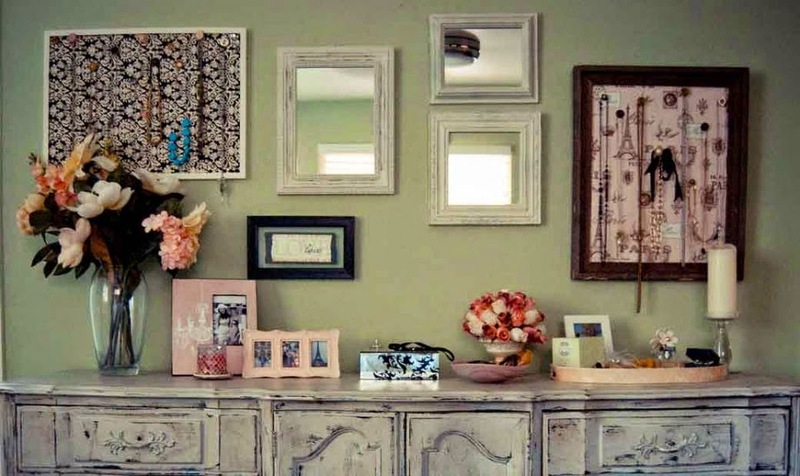 Vanity mirrors are great accessories to revamp into an antique home decor item. They represent elegance, class and timeless style. Vanity mirrors also goes great with the beautiful Spring season. They blend so well with Spring inspired fabrics such as sheer, lace and thin cotton. They also look absolutely stunning in light colored rooms such as white, pink and cream, which are very popular during the Spring. 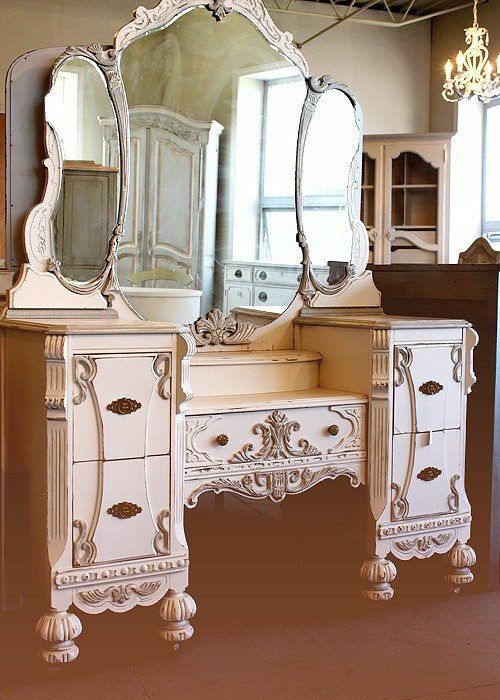 To create antique furniture with a vanity mirror simply repaint it. You can paint it a solid, Spring tone or give it 2 colors. You can also add accessories to the mirror borders. Some great accessories that would help give it a beautiful, vintage look are synthetic flowers, rhinestones, decorative craft pins and much more. To top off this stunning, antique home decor look add a match chair or bench to accompany your vanity mirror. Another antique home decor item perfect for Spring styling are decorative tables. This can range anywhere from a corner table, coffee table or living room table. The most important part is the texture and color of the table. The best antique home decor table design to create is with a wooden table. Wood naturally has a vintage modern home decor vibe to it. It’s also easy to paint. Once the paint is complete the wooden material gives the table a fresh, upscale yet vintage presence. It tells the story of the table being an old-fashioned treasure that was recently restyled. To top this antique home decor creation off add a centerpiece or family portrait on it. This wooden, coffee table placed in the center of the living room is the perfect example of blending antique home decor with modern design. A great antique home decor idea is to focus on dressers. Revamping an old dresser into a large, gorgeous accent is a great diy Spring home decor project. Most dressers have a grand, classy, vintage look to them naturally. This makes it the perfect item to create into an antique. Smaller dressers you should focus on redesigning the color. Give it a grand, upscale tone such as silver or gold. 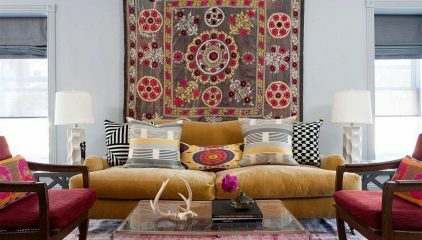 Or go for a vibrant Spring color such as blue, lavender or sea green for a modern, antique and vintage home decor look. 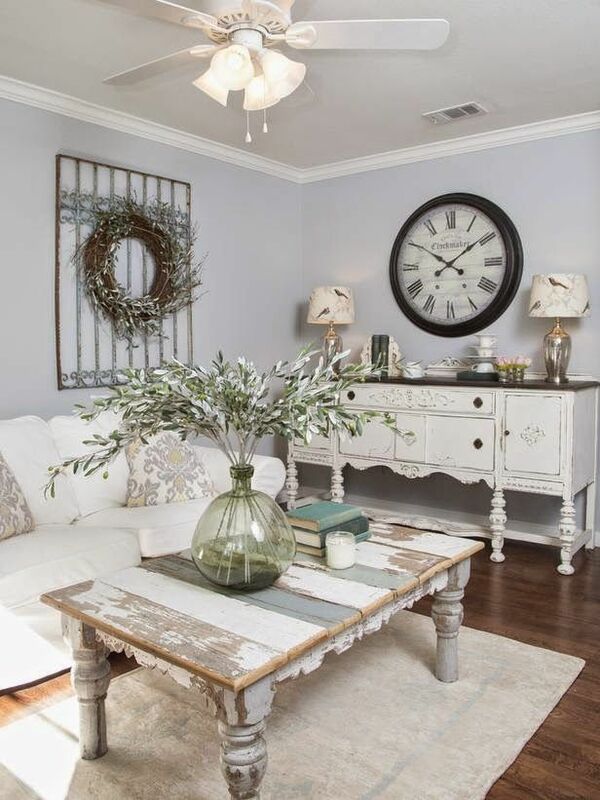 For larger dressers you can choose to repaint them but the best way to generate antique home decor results is to focus on it’s handles and other accessories. Replace your dresser handles with victorian style ones or chandelier inspired ones for a gorgeous, antique look. You should also try adding a fancy lamp or vase to the center of your dresser. 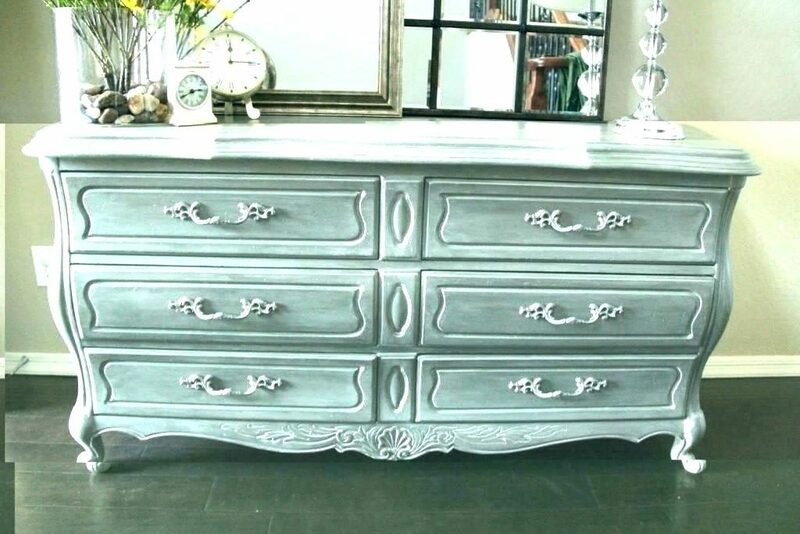 Gorgeous Spring style antique home decor dresser painted with a sea green, bright tone. A small yet amazing luxury home accent that can be transformed into an antique this Spring are jewelry boxes. Jewelry boxes are adorable treasures that many admire. They hold precious items and timeless memories. 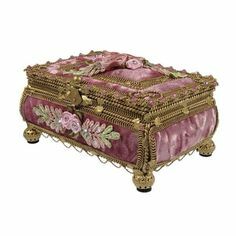 One of the many reasons jewelry boxes are often antiques are due to their passing down of many generations and also the classy designs they come in. Yes they are many modern jewelry boxes. However, classic jewelry boxes have an amazing appeal about them that transcends all eras. The best way to make your jewelry box a gorgeous antique is to accessorize it. Add fancy toppings to your jewelry box. This can be a ribbon, marbles, beads, large, sparkling buttons, etc. Of course completing this design with a paint job is always a good antique idea as well. A small, adorable antique jewelry box designed with upscale accessories. A simple interior chair can be dazzled into an antique home decor treasure perfect for the Spring. Once again all you have to do is simply revamp it. That’s the key to creating any antique inspired accent. Chairs are great for antique and vintage modern living room lovers. If you want your home to still have a splash of contemporary flavor to it, yet you love an antique vibe, interior chairs are great to focus on. 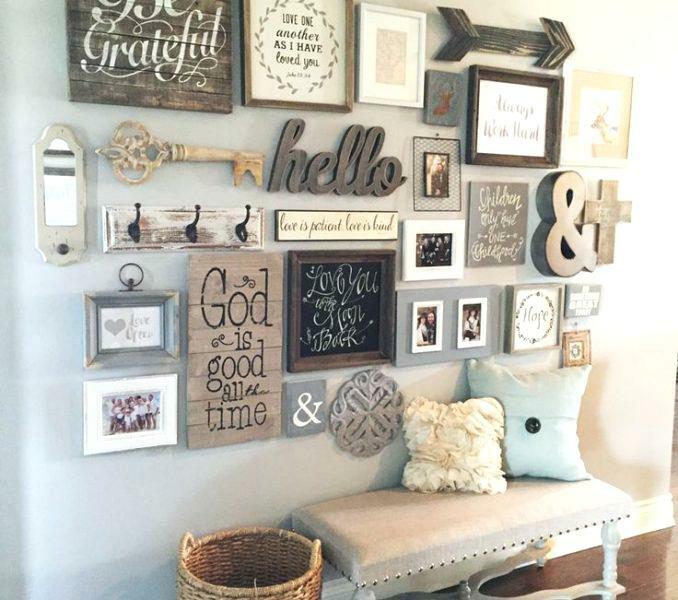 You can revamp just one that you want to place in a special corner of your home. Or you can create an entire antique styled table set. One of our favorite chair antique home decor accents are rocking chairs. Rocking chairs alone have a classy, timeless presence to them. Most hold many precious memories and symbolize to them. This makes them the perfect antique accent. Give your rocking chair a quick touch-up and witness it become your favorite antique home decor accent in your residence. 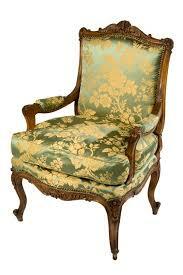 Elegant, classy, antique styled decorative chair great for styling your home this Spring season. Handcrafted decorative throw pillow that help create a lovely antique home decor theme. Although usually affiliated with contemporary home decor design and modern decor items, surprising throw pillows can become an antique accessory too. There are plenty of decorative throw pillows throughout the home that have a classic, vintage look to them. 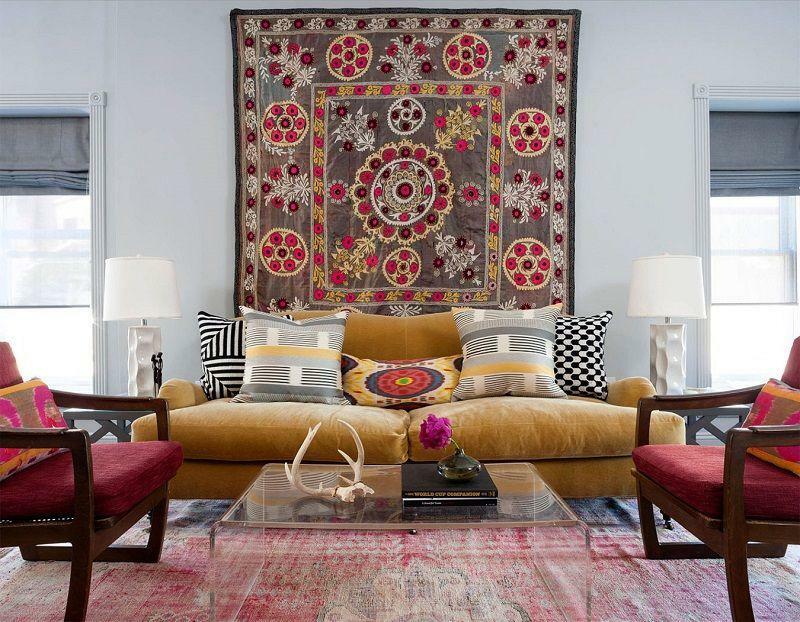 The best way to create your own antique throw pillows is to focus on the fabric and accessories (if any) that you add to them. A lacy trim around a square throw pillow can instantly transform it into an antique treasure. 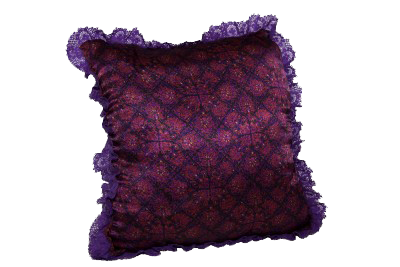 The proper accessories add to a throw pillow can also give it an antique design. The print of your pillow fabric can determine whether or not it has an antique appeal to it. For instance more floral print throw pillows tend to have an antique design to it. You can also get amazing antique throw pillow ideas from popular crafty sites such as Etsy, Pinterest and more.